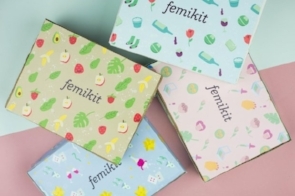 Feminism and sustainability collide in SEA 2018 Fellow and UC Davis student Nicole Garcia's monthly subscription box service, Femikit. The start-up venture focuses on helping women live zero-waste lives. "It's my two passions combined," she said. "A lot of women just don't understand how to live zero-waste, and Femikit will connect women with resources to live zero-waste and ultimately help reduce pollution and help solve climate change." The monthly boxes are all created with zero-waste materials. It's available for $25 at femikit.com, and you can pay as you go.